I didn’t always believe so, though. For a long time, I avoided their presence, viewing them as a white blight upon the meals they complemented. But now? I try to get them on everything (where it makes sense). Burgers. Pizza. Tacos. Onions no longer go unwelcome but instead have won me over, earning a seat at my table any day of the week. Just as taste buds change, anime can do the same. 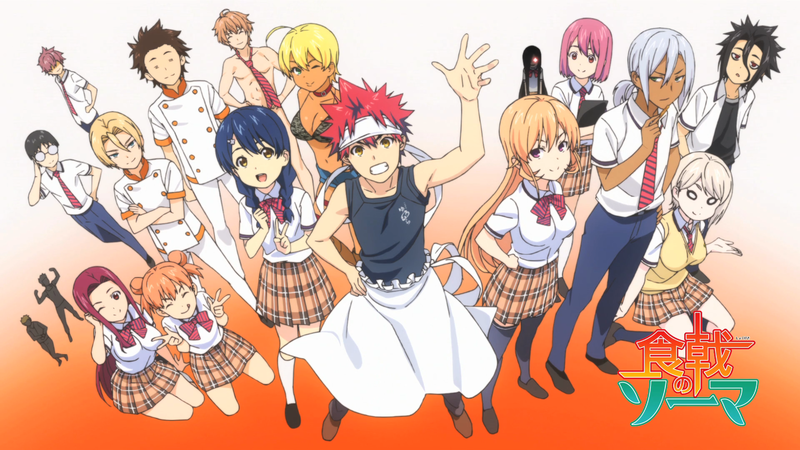 For Shokugeki no Souma: San no Sara, some of its own changes both help and hurt what once was. My brother and I used to always go down to the one close to us, sitting in the restaurant to talk and simply eat a tasty pie. Gooey cheese, flaky crust, greasy all around. The plastic, red cups filled with Pepsi, and a side order of the regular garlic and cheesy breadsticks, completed this delicious package – and made us feel entirely too full afterwards. If I could eat just that whole meal for the rest of my life, I would. I would not say something similar for Shokugeki no Souma: Ni no Sara, the sequel to Shokugeki no Souma. But I wouldn’t mind having it every now and again. Who are the winners this Summer 2015? 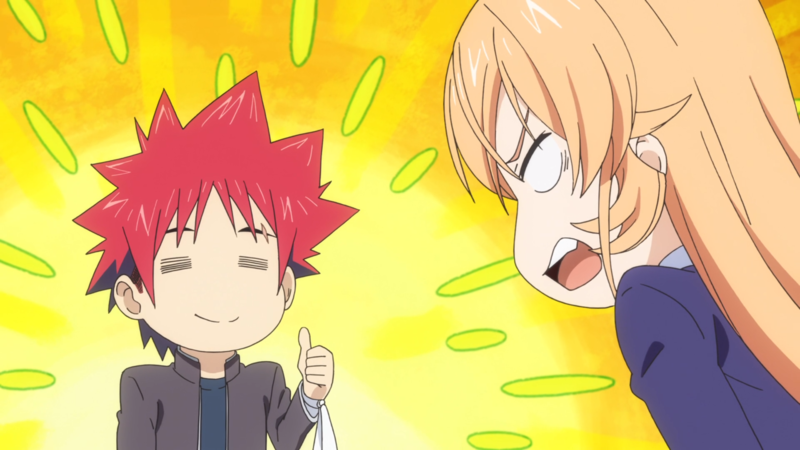 I finally finished reviewing every anime (that I was watching) from Summer 2015! What this five-month-long journey has taught me is that anime is timeless. It does not matter when you watch an anime. Be it while it is airing, several months after it finishes, or ten years down the line, that anime will still be itself. An anime about a boy trying to become king or an anime about a world where everything lewd is censored will not change. They will still hold the same stories, the same characters, and the same messages. And that is pretty awesome. Before diving into the list, it is important to know two ideas: what counts and the reasoning behind everything. 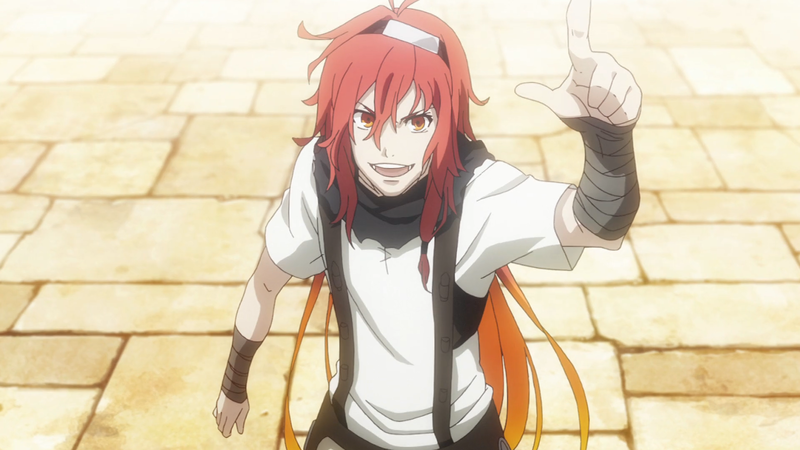 First, I am an advocate of an anime “counting” in the season in which it completed. Meaning, whether it is fantastic or not, something like God Eater has no place here despite starting in Summer 2015. 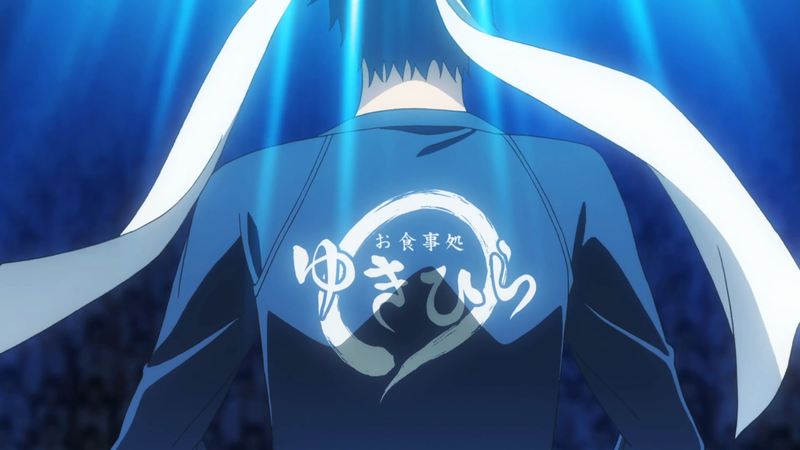 On the opposite end, an anime like Kyoukai no Rinne does have a shot since it concluded in Summer 2015 despite starting the season prior. Second, each anime has a personalized review that demonstrates why it deserves to be here in the first place. Simply click on an anime’s name to be linked to its review to read my complete thoughts on it. For every review that I wrote for this season, follow this link to my Summer 2015 Reviews page! 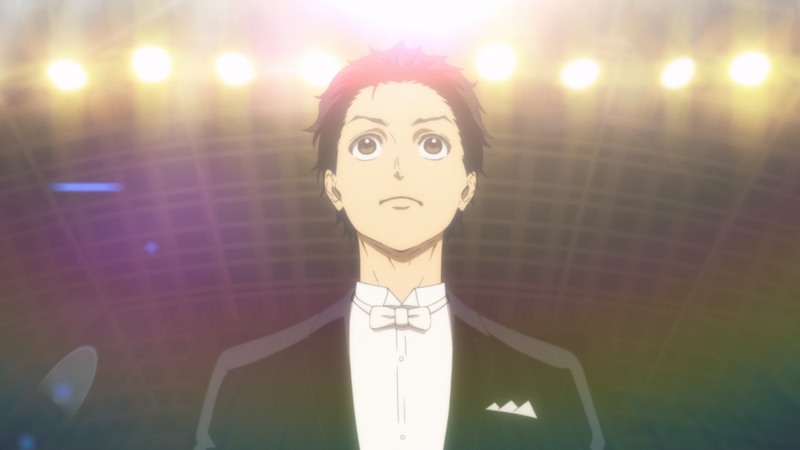 With all of the introductions, formalities, and rules out of the way, it is time to get to my Top 10 Summer 2015 Anime! When I was a kid, I was one of the pickiest eaters known to man. My diet consisted of essentially three edibles: cheese sandwiches, yogurt, and liquids. A cheese sandwich is exactly that: two pieces of cheese resting between two slices of white bread (it had to be white bread). The yogurt was devoid of seeds and covered in sprinkles (it had to have sprinkles). As for the liquids, I stuck mostly to Coca-Cola because it was sugary, sweet, and caffeinated which, considering everything else, was probably providing me the most nutrition. I did not eat hamburgers or turkey. I loathed fruits and vegetables. I rarely tried new foods, and even when I did, my first reaction was always to spit them out. Birthday parties forced my mother to create sack lunches for me so that I would have something to eat in case all that was served at the barbeque was hotdogs. This continued for many years of my life, my daily cheese, sprinkles, and carbonated drinks the only foods my body knew. Until, one day, we pulled through a McDonald’s. I was distraught since literally nothing on the menu was “for me.” My mother suggested the chicken nuggets. I was mortified. No way, I thought. If I eat those, I know it will taste like pavement. I have never tasted the side of the road before, but my brain locked in on that being the only outcome. Still, my mother ordered the meal and I, rather reluctantly, took a bite. At that exact moment, my mind unlocked. It was good. Really good. And from then on, I actually started to eat things. Cheeseburgers and roasted turkey were just the beginning. Tacos, spaghetti, pepperoni pizza were now available, and to this day I have no idea how I did not die from malnutrition. So while watching Shokugeki no Souma, I thanked the stars that I had a deep-fried piece of chicken meat those many years ago because otherwise I would not have been able to fully engross myself in the delectable food presented by this equally delectable anime.